Georgi Stoev plundered his past in the Bulgarian mob to write a series of popular pulp novels. The mob found them good enough for him to die for. Georgi Stoev listened carefully to Poli Pantev as he went over the instructions, detail by detail. In the last couple of years, Pantev had asked Stoev to execute all sorts of grisly orders, but nothing as gruesome as this. He was flattered that his boss, one of the kingpins of SIC (Security Insurance Company), a Bulgarian insurance racket, was entrusting him with a job at once so intimate and dangerous. To be like his favorite gangster, Luca Brasi, Don Vito Corleone’s ruthless and loyal top button man, had been his longtime dream. The Godfather–both Francis Ford Coppola’s movie and Mario Puzo’s book–was a sacred text for a whole generation of Bulgarian gangsters, and Stoev was no exception. He was happy to be given the chance to become a fiction character. It was an offer, one might say, that he couldn’t refuse. As it happens, there is no unassailable proof of whether Georgi Stoev organized any contract killings, or if the conversations with Pantev he relayed so faithfully years later in interviews and a wildly popular series of autobiographical books published in Bulgaria were instead the product of his rowdy imagination and unquenchable longing for fame. One fact, though, is beyond dispute, having been processed by death’s uncomplicated bureaucracy. On April 7, 2008, in the middle of the day, at one of the busiest hubs in the capital city, Sofia, Georgi Stoev received two shots in the back, then a “verification” shot to the head. The two hit men walked calmly away in the presence of hundreds of witnesses. Nobody was dumb enough to give them chase. 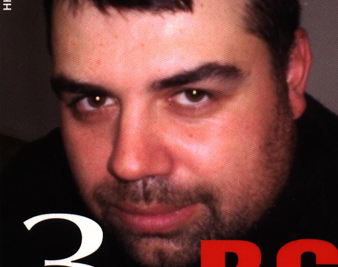 The history of organized crime in Bulgaria is, among other things, the story of Georgi Stoev. The tale can be said to begin on November 10, 1989, when Todor Zhivkov, the country’s dictator, was peacefully swept from power by his own party apparatus, effectively ending forty-five years of ignoble Communist rule. Democratic reforms were soon introduced, and Bulgaria’s economy moved toward rapid liberalization. Rigorous media censorship disappeared; political dissidents and “enemies of the people” stopped disappearing. A freely elected parliament voted on a new constitution that broke the monopoly of state power, established electoral pluralism and guaranteed the rights of all citizens. Waving the blue flags of the Union of Democratic Forces (the political opposition) and raising victory signs, people marched daily through the streets of Sofia, bubbling with excitement at their newfound liberty. It was a scene worthy of CNN coverage. Yet when the Wall came down the roof caved in as well, crushing millions of unsuspecting inhabitants of the Soviet archipelago. Bulgaria, once Moscow’s most obliging East European satellite, was left decimated in the early 1990s. The dissolution of Comecon, the economic alliance of the Soviet bloc, deprived Bulgaria of the easily accessible markets that had sustained its planned economy. Unemployment soared, and inflation reached a staggering 473 percent in 1991 alone, wiping out private savings and reducing the majority of the population–menial workers and engineers alike–to abject poverty. The country’s financial system, saddled with sizable foreign debt obligations incurred by the Communist Party, upward of $10 billion, was near bankruptcy. Bulgaria’s dire economic situation was a product of the long-term ineptitude and greed of party apparatchiks, yet in 1990 those same apparatchiks were voted back into power in free elections. (Though numerous legal charges were brought against Zhivkov, many of his associates escaped prosecution and eventually returned to government.) Living standards were all that mattered to the population, but the promises of prosperity under a liberalized economy were proving to be empty. Misplaced nostalgia for “the good old days” became the dominant mood. Bulgaria’s post-Communist mafia was dominated by a ragtag bunch of brawny boys without jobs, but it did not originate with them. The country had been functioning primarily as a criminal venture long before 1989, supporting what the sociologist Ivan Chalakov has called “a state system of contraband.” In the 1960s the notorious State Security had founded Kintex, a trade company that sold military equipment and arms to warring parties in Africa and the Middle East, while at the end of the 1970s the division aptly named Hidden Transit managed the smuggling of gold, cigarettes and other commodities. With its central location in the Balkans, where it is bordered by Greece, Turkey, Romania, Macedonia, Serbia and the Black Sea, Bulgaria also controlled nearly 80 percent of the narcotics traffic between Asia and Europe, from which it extracted enormous cash dividends. Although Zhivkov’s iron grip on power had mostly swept the streets of crime, making Bulgaria’s towns and villages pleasant and safe, his autocratic government was running a rogue state. By the mid-1980s, Bulgarian party officials were aware that the Soviet flagship together with its fleet of smaller vessels were heading toward disaster. There was no time to lose. By some estimates, between $4 billion and $9 billion of “red capital” was transferred to clandestine accounts in Western European and US banks in 1989-90. Those who benefited most from the newly liberalized markets were members of the nomenklatura who could exploit their financial and political connections to redistribute national wealth and register the first private companies. High-level functionaries did not so much relinquish power in November 1989 as single-handedly privatize the state they had once governed; the Communist dictatorship simply turned into a capitalist monopoly. The rescued regime did not bother to help the beleaguered nation but instead continued to exploit it for its own benefit. Communist functionaries backed Bulgaria’s nascent mafia, exchanging the highly organized, repressive functions of a former totalitarian state for the stateless totalitarianism of organized crime. On November 10, 1989, Georgi Stoev was just 16. Born and raised in Sofia, he was the son of working-class parents who could afford only the bare essentials. Stoev was a diligent student and a fine athlete with dreams of making it big one day. After finishing high school and his military service, he planned to pursue a career in athletics. For years he had been involved in sambo, a popular sport in the former Soviet bloc that combines traditional wrestling techniques and Eastern martial arts. Sambo and other power sports like wrestling, weight lifting and boxing had always been the darlings of Soviet athletics. Having few other means of flexing their muscles at the West, Communist governments lavished money and resources on stocky men in spandex. Bulgaria was no exception. Because it lacked opportunities to overthrow its enemies on the diplomatic stage, it competed for authority on the mat and in the ring. Athletes who prevailed in international competitions were feted as heroes and rewarded with special privileges–cars, large apartments, pensions, military rank, even political connections. Though not the best in his class, Stoev did not lack talent. “He had a few medals from municipal competitions,” his mother told me. “He was a good boy.” A serious knee injury, however, cut short his sambo career soon after the Zhivkov regime collapsed. It was just as well. With the economic crisis deepening, the hefty state budget for sports was slashed, and many of the leading professional training schools for athletes had to close. “My life changed back then. I stopped receiving scholarships. I would go out more and more often in search of money,” Stoev said in an interview published posthumously in the Sofia daily 24 Hours. Athletes were not spared the general fate of the country. Penniless and adrift, many of them began roaming the streets looking for lucrative ways to test their stamina and strength. Some of the best athletes went on to become the most feared mafia bosses of the 1990s: Ivo Karamanski, the Iliev brothers (Vasil and Georgi), Iliya Pavlov, Dmitriy Minev, Mladen Mihalev, Krasimir Marinov. They were all classmates, all thrived in the underworld and are all, but for the latter two, now dead, casualties of gangland justice. Georgi Stoev did not belong to this elite group, but he was one of the countless other poor men and women who, impatient to see the wheel of fortune make its next revolution, joined the emerging crime syndicates. The mob guaranteed at least some kind of job security. And to the lucky few, crime promised the luxuries the party had once offered to prizewinning wrestlers–fast cars, large apartments, income, special privileges, respect. Although the word “wrestler” eventually became slang for “criminal” in Bulgaria, all sorts of people drifted into the underworld: con men; prominent doctors, lawyers and public servants; day laborers from the countryside scrounging for a buck. But the most important element of the underworld–the organization–was supplied by the government: during the institutional depoliticization that occurred between 1990 and 1992, nearly 17,000 State Security operatives were dismissed, as well as thousands more militiamen and army personnel. Drawing on their extensive political influence and intimate knowledge of the old smuggling networks of the Communist regime, they laid the groundwork for organized crime and also got involved in the action. “There was no way to become a mafia boss without support from the police or some party functionary,” Stoev told the TV hostess Veneta Raykova early last year. When Stoev descended into the criminal underworld, he had already freelanced for a spell as a petty thief–a few stolen tires and car batteries, some carjackings, several random muggings. His breakthrough, by his own account, came when he began working for the notorious “violence entrepreneur” Vasil Iliev in the early 1990s. With law enforcement in Bulgaria almost entirely dysfunctional, Iliev decided to start a security firm called VIS (Veracity, Investments, Security), a thinly veiled extortion racket. A spinoff, VIS-2, peddled car insurance no one could afford to go without, unless he wished to pay “ransom” for his missing vehicle. Thieves who meddled with property insured by VIS-2 were quickly found and “chastised” for their disrespect. Stoev was a foot soldier in the chastisement brigades. It was a labor-intensive job. One fearless car thief, who did not want to confess his crime, was bound to a bed in a basement and beaten with metal rods. Describing the incident years later in the book series SIC, Stoev wrote, “We beat him black and blue, but we were careful not to break his bones. A beating has its own internal logic and psychology like any other human activity. It goes through the following stages: First, the victim feels intense pain and screams. Then he goes limp, his organism gives up, and he is ready to confess anything. He takes the punches without protest and, if he’s still conscious, wonders whether he’ll die now or later…. A beating is hard labor…. It’s a whole art in itself.” Stoev was not completely insensitive to other people’s suffering, though he tried everything possible not to think about it. “In the basement I behaved like a beast,” he admitted ruefully, “but out in the daylight I managed to forget about everything. It was my survival strategy. I existed in two parallel worlds.” It was an existence that was taking its toll on both victims and victimizers. When Vasil Iliev was ambushed and murdered in the middle of Sofia in April 1995, nothing much changed for Stoev. He was already working for Iliev’s friend and nemesis, Poli Pantev, an executive director of SIC. Inspired by the success of VIS-2, SIC had been formed in 1994 by several leading crime figures. It had commandeered a large chunk of the growing insurance market and diversified into other highly lucrative sectors: gambling, banking, speculation in food commodities, smuggling embargoed petrol to war-torn Yugoslavia (an operation comparable in its clout and profitability to bootlegging in the United States during Prohibition). Stoev still participated in violent punitive campaigns against competitors and enemies of the company, but less often. The exact arc of Stoev’s criminal career remains vague, but at the end of the 1990s he was apparently promoted to more respectable positions. Pantev, whose “cruelty combined with sharp intelligence” Stoev greatly admired, appointed him a casino staffer and then the manager of a striptease club in Sofia. “It was a fancy club, with crocodile skins and snakes hanging from the walls. Very classy. And Georgi was always surrounded by bodyguards,” recalls Dobrin Dodev, Stoev’s best friend and attorney. Pantev even gave his employee a gold ring with the inscription “From Poli”–a gesture that placed Stoev in his boss’s inner circle. Pantev certainly had reason to trust him. Unlike ordinary gangster rabble, Stoev didn’t drink or use drugs except for occasional mild sedatives to take the edge off his job. He was disciplined and resourceful. Whether that trust eventually accrued into direct offers for contract killings is not clear, but according to Stoev’s accounts, Poli Pantev, as well as another powerful boss from SIC, Mladen Mihalev, asked him to be a middleman in the recruitment of assassins. Bulgaria’s underworld was daily becoming more and more crowded with various criminal organizations battling for turf, and the cheapest and fastest way to reaffirm one’s claims was by eliminating other claimants. But it seemed that Stoev hadn’t done his job very well when the competition finally got to his boss: after surviving one failed assassination attempt that involved a rocket-propelled grenade, Pantev was killed with four shots to the head at a hotel in Aruba in March 2001. He was succeeded by Georgi Pehlivanov, another shadowy character from SIC. And Stoev, like movable property, was reassigned to the new boss. Bigger changes were stirring. Stoev was ecstatic when his wife, Svetla, a former biathlete, gave birth to a daughter, Jacqueline, in 2001. “He was a very caring father and husband,” Svetla recalls. “He would do anything for his family.” Stoev’s years as a family man were his happiest and also the most economically challenging. It is not exactly clear when or why Stoev cut his ties to the underworld, but the break seemed irrevocable. He might have sought revenge for some injury, or perhaps wished to protect his loved ones, or wanted to become a better man–Stoev never provided a clear explanation and left people guessing. Most often he would say that he wanted to quit the contract-killing business and leave behind the ignoble past, start a new life. Journalists were baffled with his simple answers, but he refused to provide more details. Whatever his motives, his choice to abandon criminal life left him destitute, at least for a short time. According to Dodev, Stoev lost his savings in the ill-reputed First East International Bank, an institution partly owned by Mladen Mihalev. He ran a pharmacy that failed. He was eventually forced to sell luxury items he had acquired as a mobster, including two Mercedes sedans. In time, with money running low, Stoev’s most marketable option was to provide for his own and his family’s future by cashing in his one remaining asset: his past. “My books are not fiction. They are the absolute truth; they are my life.” During the last year of his life, Stoev repeated this claim on talk shows, in newspaper interviews, almost anyplace where someone would lend him a microphone or an ear. By 2007 he had written ten popular books on the Bulgarian mafia and become a minor celebrity. Their serialized titles were plain enough: VIS, SIC, The Bulgarian Godfather. Stoev was a straight-shooting gunslinger who didn’t wear the bulletproof vest of allegory. His books contain no relative points of view, no epistemological conundrums, no disclaimers. Things happened the way they did, and that was that. Many others–journalists and novelists and sociologists–had written expertly about organized crime in Bulgaria, but they were simply observers and commentators. Georgi Stoev was something else: an inside man, “the chronicler of the mafia.” It may be that after his past, Stoev’s most precious asset was his lack of imagination. “The things I write about are things I’ve personally seen or things I’ve heard from people who are reliable and wouldn’t lead me astray,” he said in an interview for TV2, a small private network, in February 2008. Articulate and soft-spoken, Stoev was a beefy, bull-necked man the size of a bulky wardrobe with a square head thrown on top like a discarded hatbox. The writer’s psyche in the body of a “wrestler” looked slightly ridiculous on television, but the whole nation was mesmerized. In a country where even successful novels sell a few thousand copies at most, the print runs of Stoev’s books reached the tens of thousands. No central bookstore or provincial newsstand could afford not to sell them. Here was someone who had spent years in the underworld, where he had known and worked for its most ferocious mobsters, and had survived to tell the tale. As Nadya Cholakova, the author of several volumes on the history of post-Communist organized crime, explained after Stoev’s murder in an interview published in Standart, a Sofia daily, “Georgi Stoev was different [from investigative journalists]–he was his own kind of kamikaze. He literally declared to people from his world, ‘I am one of you and I’ll reveal your secrets.’… He was always ready to provide [journalists] with information and most of the times it proved accurate.” Stoev returned empty-handed from his journey in the underworld, willing to sing to the regular folk about what he had seen. That backward glance would eventually cost him his life. “Georgi Stoev had an elephant’s memory and absolutely gossipy curiosity. He knew how to work with information, which was his true capital,” Ognyan Mladenov, Stoev’s first publisher, told me. Vlado Daverov, the editor of Stoev’s first books, adds, “He was a very intelligent boy, very well informed. But he hated the gangster world because that world had rejected him.” Since Stoev had had no literary experience whatsoever when he started writing in 2006, Daverov assisted him with the technical elements of the craft. “Georgi was responsible for the content, and I did the writing,” he says. The two men developed something akin to a friendship, discussing movies, one of Stoev’s passions, in their spare time. The former gangster’s ambition, however, constantly kept emotions on edge. “He really wanted to be famous, and made it in the end. He was ready to die in the name of fame. I’ve never seen such ambition,” Daverov says. For one reason or another their relationship gradually soured, and Stoev embarked on an independent career with a new publisher, New Media Group, in 2007. Having learned Daverov’s lessons well, Stoev went on to write his most personal work, the three-volume Bulgarian Godfather series. Stoev’s prose is clunky and littered with clichés, his plots sometimes implausible and ludicrous, but there is little doubt that he was an intriguing storyteller in possession of much sensitive information. A mélange of dime-store fiction, memoir and soap opera, his books purport to follow the vicissitudes of his three former employers–VIS, VIS-2 and SIC. Rather than present the big picture, the way a journalist or sociologist would have done, the ex-gangster depicts events on an intimate level from a first-person point of view. His books feature minutely reconstructed conversations between mobsters (bosses and foot soldiers), ruminations on the psychology behind organized crime, quotidian details concerning the routines of drug-traffickers and hit men and gossip about the private lives of prominent mafia members, including their eating habits and sexual predilections. Indeed, one of Stoev’s most significant contributions to Bulgaria’s underworld of letters was his demythologization of gangsters, depicting them as ordinary people living almost ordinary lives. In many cases they are portrayed as little more than regular Georgis “behind whose slick appearance there was the village bumpkin from the countryside,” as he wrote in the second volume of SIC. Another signature trait was his use of real names in his books. “I think we should start calling the spade a spade. Enough with rumors and veiled conjectures. Somebody needs to come out and say these things out loud,” Stoev told Veneta Raykova of the celebrity TV show Goreshto (“Hot”) in January 2008. At the beginning of the show, he placed his hand on a Bible, saying that he swore to tell nothing but the truth and that he was prepared to defend his claims in court if necessary. “I am ready to assume full responsibility for the things I say. I’m ready to stand trial, so I can prove my position…. Or let somebody at least come out and say that I’m lying,” he added. No suits for slander or libel were ever filed against Stoev, so he kept on naming names. Stoev told his most scandalous story in his final book, the third volume of The Bulgarian Godfather. He described how Gen. Luben Gotzev, the former deputy chief of foreign intelligence and former foreign minister (post-1989), was a principal architect of organized crime in Bulgaria, the person who used the extensive political and commercial connections of the old Communist Party to assist emerging crime syndicates in the 1990s. Although Stoev was hardly alone in hurling such allegations at Gotzev, he was the first to claim that the general had been secretly involved in a homosexual relationship with his protégé, the mafia boss Mladen Mihalev. The allegation was a grave insult in Bulgaria’s macho society, one far worse than accusing someone of being a crook. The story was endlessly recycled and publicized like none of Stoev’s others in various newspapers and on talk-shows, until it nearly became accepted as fact. Although Gotzev threatened to sue Stoev, he never did so, preferring instead to maintain his reticence. “I didn’t know Georgi Stoev,” Gotzev told me in his mild and fatherly voice during a phone conversation late last year. “I didn’t have anything to do with him. Half of what he was writing was an invention.” Which half was invented and which factual, however, Gotzev didn’t specify. Luben Gotzev wasn’t Stoev’s only critic. Doubts about the veracity of Stoev’s work arose soon after the publication of his first book, VIS, in 2006. Some critics went so far as to suggest that everything Stoev had written was pure fabrication, that he had never been part of the mafia–that he had invented his past. One of Stoev’s most malicious critics, Boyko Belenski, a hack novelist himself, published a book on the subject a few months after Stoev’s death. The Revenge: The Whole Truth About the Murder of Georgi Stoev is a lurid potboiler trying to pass itself off as a “true novel”–a book in some ways not unlike Stoev’s. It portrays Stoev as a wannabe mobster on drugs, whose “fogged-up brain” and “vain ambition” pressed him to fabricate stories about mafia figures he had never known personally. “Most people lie so they can save their skin; he was lying to make a flag out of it,” Belenski wrote. There was little doubt whose flag of revenge Belenski was waving: throughout his book he implied that Stoev deserved his death for daring to tarnish the reputation of the big mob bosses of VIS, VIS-2 and SIC. If Belenski’s book looked like nothing more than cheap ventriloquism, it was less easy to discount serious commentators like Margarita Mihneva, a veteran journalist who interviewed Stoev on her television program, Neudobnite (“The Inconvenient Ones”), in early 2008. “Georgi Stoev imagined he could make a psychological profile of our society. But he invented things. His books were not reliable,” she told me. Mihneva herself has reported on the mob, and in 2002 she received an anonymous threat–acid would be thrown in her face–after the airing of a TV broadcast in which she investigated the lavish property holdings of the notorious banker Slavcho Hristov and the current mayor of Sofia, Boyko Borisov. Mihneva found Stoev’s tendency to mix fact and fiction disreputable: his books use real names while failing to meet the proper documentary rigor; they purport to present the truth but rely instead on little more than secondhand gossip. “His kind of journalism was not accurate and not helpful at all,” Mihneva says. Time and again Stoev affirmed he was telling the truth, but the claim to authenticity is, after all, one of the oldest tricks in the novelist’s bag. Could it be that Georgi Stoev was a fake mafioso who died a real mafioso’s death? If this were indeed the case, it would add a nice postmodern flourish to the tale, but it is not entirely plausible. There is simply more evidence pointing in the opposite direction. To separate the grain of personal experience from the chaff of gossip in Stoev’s works would be difficult, if not impossible, as the two are so mixed up as to be almost indistinguishable. Nor is there a compelling reason to separate them. In the baffling post-Communist world of Bulgaria, gossip is often more reliable than official information–simply because gossip is often the only information available. Stoev’s books captured that climate perfectly. Neither journalist nor novelist, he was a person who related what he had seen firsthand and heard from others. His “fictions” were as salient as his “facts.” “Stoev came from a place where gossip is a major form of communication. There information exists on a very primitive level. It’s gossip, but it’s also genuine gossip. Gossip that is never supposed to leave a small circle of friends,” says Palmi Ranchev, a famous boxing coach and one of Bulgaria’s most accomplished and talented novelists, whose book Anonymous Snipers won him national recognition. Ranchev’s athletic background brought him in peripheral contact with many members of the underworld, including Georgi Stoev. “He was a bandit, all right. I knew him well,” Ranchev told me. Quick to dismiss Stoev’s novels as hackwork, Ranchev nevertheless does not doubt their core authenticity. In his opinion, Stoev’s oeuvre could be classified as “denunciation reports with elements of fiction.” But which exactly were those elements? What seems likely is that on occasion Georgi Stoev adapted stories about mobsters he had heard from friends and associates in an attempt to impart greater weight to his narrative and to magnify the importance of his position as a gang member. Aiming to demythologize the lives of mobsters, he could not avoid mythologizing himself. Some of his claims seem like nothing but farcical swagger. “I was in the middle of the beehive with the queen bee,” he boasted in The Bulgarian Godfather. That might have been the case, though he might also be exaggerating his claim to a perch on the upper rungs of the criminal hierarchy. Stoev tried to portray himself as a deft manipulator, a double-dealer who managed to survive by outmaneuvering his bosses and pitting them against each other. “As ludicrous as it all seemed, in that phoney world you always had to play roles,” he wrote in the third volume of The Bulgarian Godfather. But then again, even if we allow that Stoev sometimes appropriated lines of characters more central than himself, it seems likely he did so only because he had spent enough time as a mobster to know the entire show by heart. The three shots that rang out on April 7, 2008, revived the painful memory of another hit job–the murder of the dissident Bulgarian writer Georgi Markov in London in 1978. According to leaked files, a Bulgarian State Security agent fatally poisoned Markov with a pellet fired from a modified pen. Like Stoev, Markov had been a longtime confidant to his future assassins–the Communist Party in his case–before brazenly turning against them. He defected in 1969 and later worked as a journalist for the BBC and Radio Free Europe, while also writing a series of scathing sketches and articles on totalitarian Bulgaria eventually collected in his book In Absentia Reports. Markov was a more accomplished novelist, one of Bulgaria’s best, but Stoev’s courage in standing up to unveil the mafia did not pale in comparison.